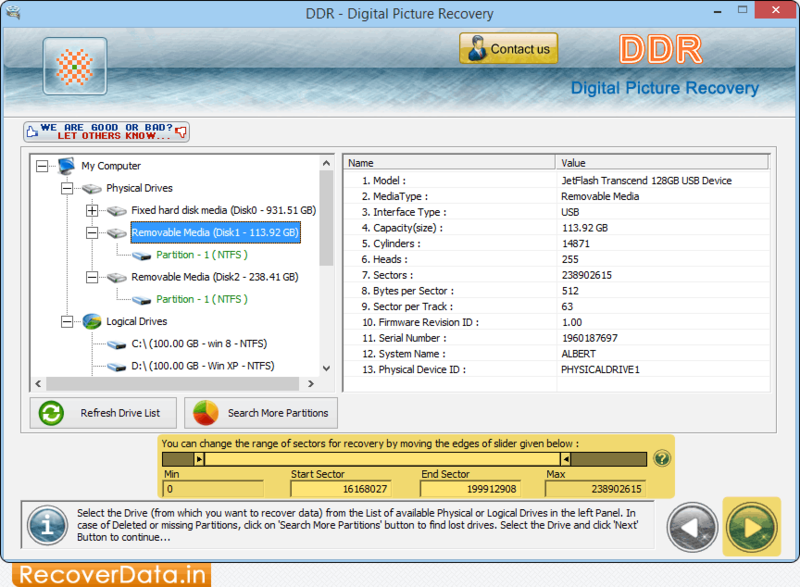 Adjust the range of sectors for data recovery process. 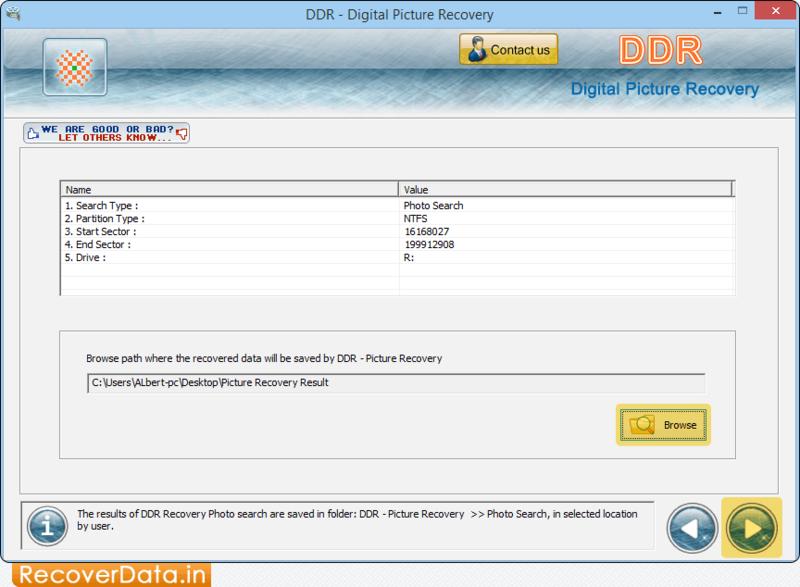 Browse the path where you want to save your recovered pictures. 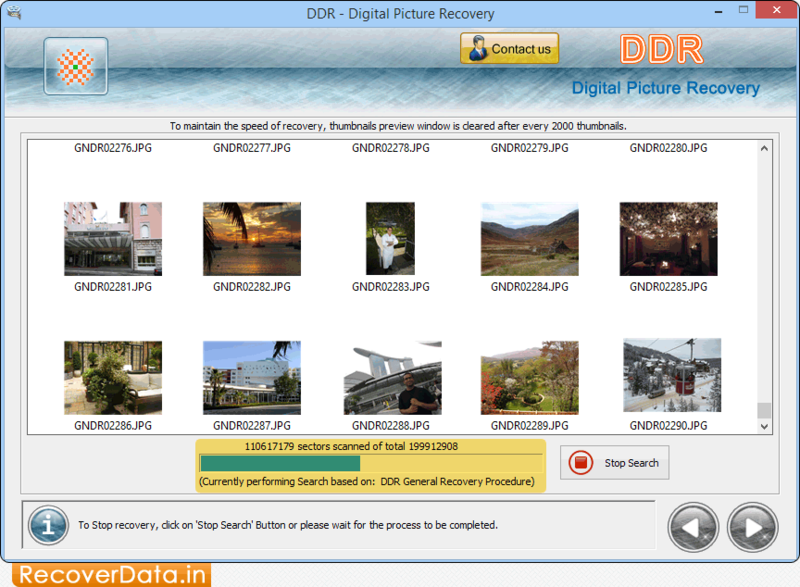 File Searching process based on DDR General Recovery Procedure. 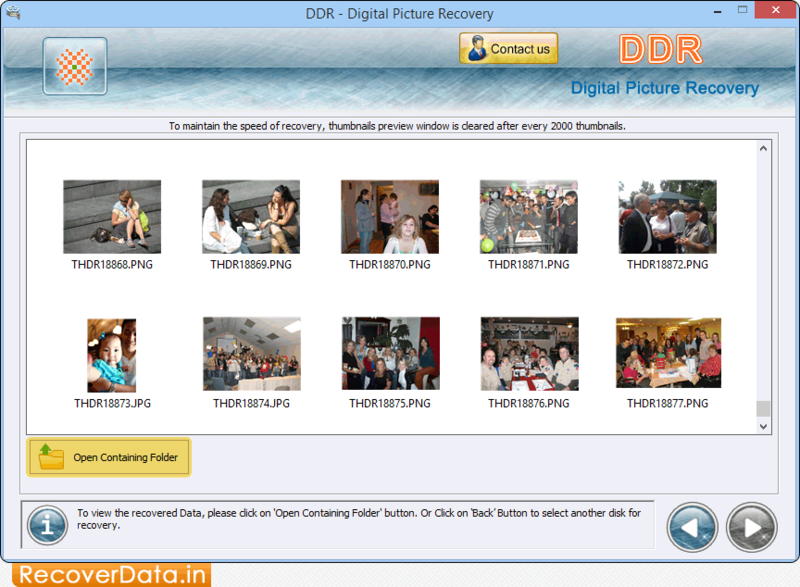 To view recovered photos, click on 'Open Containing Folder' button.